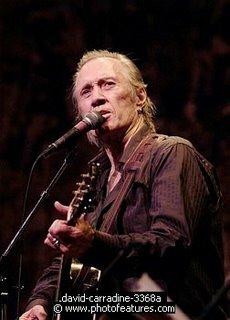 David Carradine photo at BB Kings in Universal City in 2004. Photo by Chris Walter. David Carradine, who became a TV icon in the early 1970s starring as an enigmatic Buddhist monk with a flair for martial arts in "Kung Fu" and more recently played the head of a group of assassins in the "Kill Bill" movies, has been found dead in Bangkok, Thailand. He was 72.